during World War I, Coleman became determined to fly. 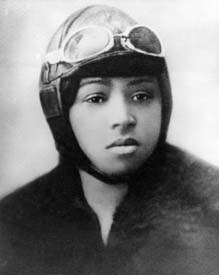 often spoke at schools and churches to promote aviation among blacks. drop flowers on her grave.